In the spirit of back-to-school, this week's message is from Rebecca Shimshak, the Director of our Greater Boston Jewish Coalition for Literacy program. As summer ends and a new year of learning begins, school staff throughout Greater Boston are working feverishly to prepare for their students’ arrival. 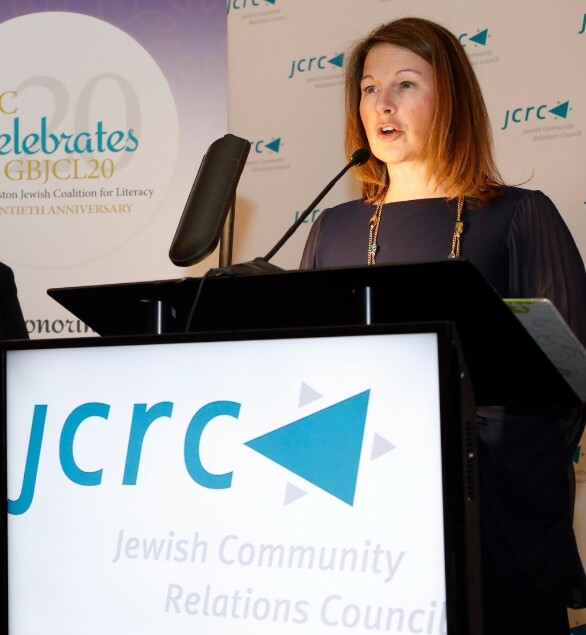 Here at JCRC, our nearly 300 Greater Boston Jewish Coalition for Literacy (GBJCL) volunteers are also gearing up to return to their partner schools. To mark this “back-to-school” moment, I’d like to share a glimpse inside one of our 25 GBJCL schools, The Arnone Community School of Brockton, a part of our program for nearly a decade, through their partnership with an incredible team of volunteers from Temples Beth Emunah and Chayai Shalom of Easton. 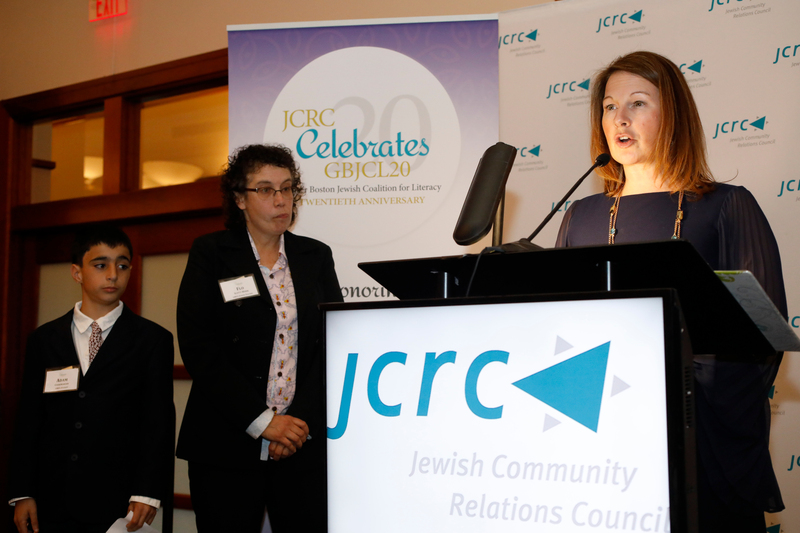 The Arnone’s Principal Colleen Proudler (left) was recently featured at our annual JCRC Celebrates fundraiser, where we celebrated GBJCL’s 20th anniversary and honored the work of our partners. In Principal Proudler’s remarks, she revealed compelling insights about her school, the realities of her students’ lives, and the impact of our program on her community. A large urban school, the Arnone’s students face daunting challenges: 65% are economically disadvantaged, 92% qualify for free or reduced lunch, 75% are high-needs, and more than 3% of these students are dealing with homelessness. 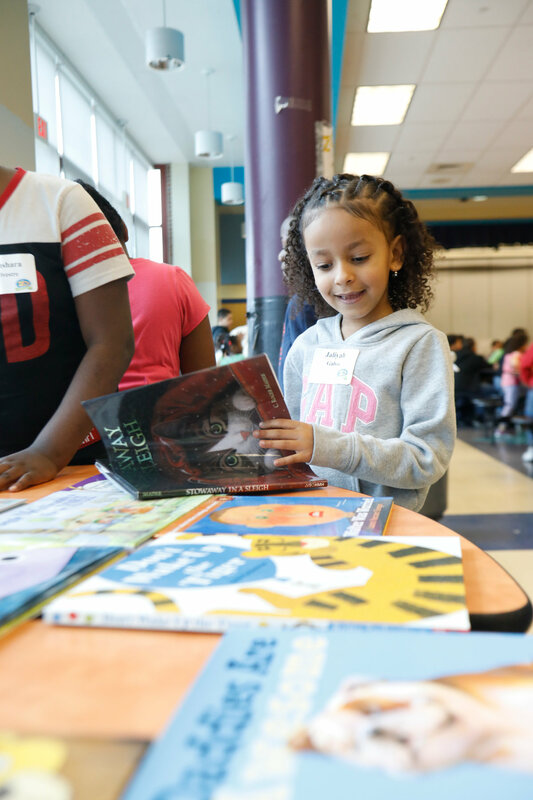 … Literacy skills are a key component to a successful future and, all too frequently, these high-risk students lag well behind their peers. I could speak to you for hours about the research that demonstrates the need for explicit vocabulary instruction or the number of minutes a child should spend reading each day to become fluent. But nothing sparks a love of reading in a child better than sharing a book with a caring adult. The [GBJCL] tutors working at Arnone nurture that love of reading each and every day. Remarkably, Principal Proudler takes the time to get to know each of the GBJCL tutors personally. She observed a particularly telling interaction between one tutor and his student. Seymour Newberger was a ninety-one-year-old retired engineer who tutored at the Arnone for several years. Typically tutors work one or two hours a week, but Mr. Newberger worked all day, every day… I would frequently find him building bridges with the third graders in a classroom or working with small groups of fifth graders in the science lab. One day, I observed a fifth-grade girl arguing with him... She walked away from him in a huff and as I was walking over to intervene, he called over his shoulder, “…Fine, leave. But your answer is still wrong!” The girl stopped dead in her tracks. She turned around, marched back over to the table, and sat right down. He calmly picked up a pencil and began to reteach the problem. After she left, I asked him how he knew she would come back. He told me she was a very good mathematician, but made careless errors and got angry when they were pointed out to her. He also knew that her ego would never let her walk away from a problem without the correct answer. That student has since graduated from the Arnone, but I am certain that she will never forget how Mr. Newberger pushed her to never settle for anything less than her best effort. Mr. Newberger passed away last year and he is sorely missed at the Arnone. His spirit of service, dedication, and commitment embody the essence of GBJCL and what makes it so special to the Arnone. Today, volunteer support is even more critical to schools like the Arnone. Facing a $10 million school budget deficit and the prospect of classes as large as 30 students, essential services for students in Brockton are in serious jeopardy. 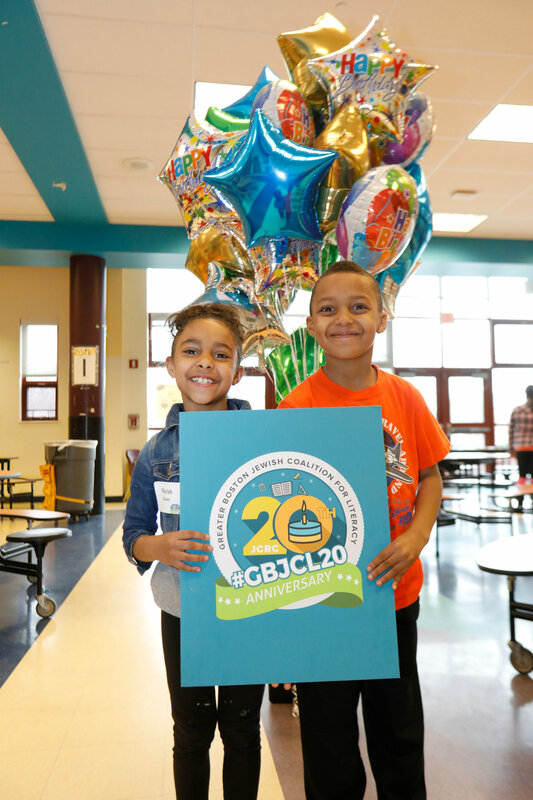 As she struggles to respond to this crisis, Principal Proudler expressed her relief that through GBJCL, she can count on her students to continue benefiting from small group instruction and personalized attention. We are privileged to support schools like the Arnone, where committed volunteers like Mr. Newberger have real impact as they help students carve out their path in life. If you are interested in joining our cadre of GBJCL volunteers, registration is now open for the 2017-2018 school year for either tutoring weekly or time-limited special projects. No educational background is needed, just a desire to help and time to serve. I look forward to celebrating another successful year together with GBJCL and all of our partners.